Been one year already since Urban Village Brewing Company opened in Philly's Northern Liberties neighborhood, the day before Philly Beer Week 2017 kicked off. Then, they had a car crash through the front door, unintentionally getting their name all over the news. But, the beers were already making a name for themselves. A few personal favorites included the very distinctive Beets by J Berliner Weisse (3% and full of bright red beets), Rye Bread Rye IPA (7.5% and spicy to match the name), and Oatis Oatmeal Stout (7% nice and solid stout). The Beets by J made a reappearance at Brewer's Plate in March and I couldn't have been more pleased, one of the standouts of the evening. And here we are a year later. When I first saw notice of the anniversary party, and especially that it runs for the entirety of the weekend, I figured it'd be easy to slide it in between hopscotching between other events. When, will be the question. There's a can and bottle release on Friday, though, with my schedule and little interest in carrying bags with me, I think I'll leave these to the rest of you, maybe stopping in for a quick Birthday Beer draft prior to Opening Tap just a few blocks away. But, the Pig Roast on Saturday (with or without rain, no matter!) sounds like a good bet. 3 Full Days and 3 Special Beers … Plus a Pig Roast! 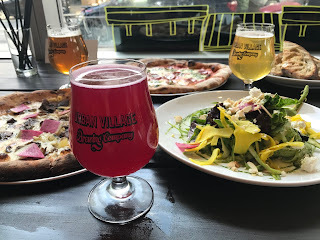 Philadelphia, PA (May 24, 2018) – Urban Village Brewing Company in Northern Liberties is celebrating their first year of business and brewing with a bang. The brewery and restaurant known for their playful beers and naturally leavened pizza opened its doors on June 1, 2017. Since then, co-owner and head brewer Dave Goldman has brewed over 1,000 barrels of beer while his partner, Tom Revelli, has overseen the service of thousands of meals, family-friendly brunches, monthly beer runs, a freak U-Haul accident that inspired the popular Wrong Way IPA and even a once-in-a-lifetime Super Bowl viewing party. To celebrate a year of highs, Urban Village is throwing a three-day party from June 1st to June 3rd, which will include all day celebrations complete with a pig roast and special offerings of limited edition beers. In addition to the festivities, three brand new and ultra-rare beers will be available for the big birthday. Birthday Beer will be available on tap from Friday, June 1 to Sunday, June 3. The Belgian Golden Ale was brewed with orange and juniper and fermented with Belgian Abbey yeast and aged in Spanish sherry barrels that were last used by neighboring New Liberty Distillery to finish their rye whiskey. Birthday Beer packs a punch at 10% ABV and there will be 48 bottles available for purchase at Urban for $20 each. A remainder of beer will be bottled and aged for future landmark celebrations. Similarly, Dime Piece, a 10% ABV barrel-aged Belgian Quad will be available in limited quantities of bottles over the weekend for $20 each. This Belgian Quad was brewed exclusively with PA malts from Deer Creek in Glen Mills and aged in New Liberty’s Dutch Malt bourbon barrels. Super Villain is a hazy IPA made with lots of oats and milk sugar. It’s double dry-hopped with Motueka, Vic Secret and Mosaic hops and the result is a sweet, juicy beer with citrusy, fruit and floral aromas. Super Villain will be canned and available on June 1 at the brewery for $15/four-pack and distributed to beer stores in the region the following week. Only 250 cases will be canned and distributed. Follow Urban Village on social media to stay informed: @urbanvillagebrewing on Instagram and facebook.com/urbanvillagebrewing. Urban Village Brewing Company is a Philadelphia-based brewpub located in the neighborhood of Northern Liberties and founded by Landmark Americana’s Dave Goldman and Tom Revelli. This one-off concept offers tank-to-table craft beers brewed on site and brick-oven fired pizzas and artisan bread specialties prepared with natural, yeast leavened dough. Here we go one more time. After today, not doing any more detailed sleuthing through the PBW '18 calendar. If an event's not listed by this point of T-minus three days until the kickoff, I can certainly go with what's been taken seriously enough to get planned and on the calendar before now. Although, spelling of an establishment's own name, and an occasional brewery, and a growing number of duplicate events (48 as of last night) still seems to be an issue. And, the website and calendar navigation? Well, I've heard again from enough of you that I won't dwell on it here, but suffice to say, I wouldn't be undertaking these efforts to share with you if I didn't know it was appreciated. Here's what's new since my update last week with data drawn late last night. As always, my standard disclaimer that while I fully trust my own data cleansing and analytical processes, the PBW website should always be seen as the official calendar of record. However, again, if you'd like a copy of my spreadsheet containing the "cleaned calendar", feel free to ask and I'll shoot it right over to you. Those that have requested in the past will get a proactive forward of the calendar sent this afternoon. - a few new events catching my eye and have me considering adjusting my personal schedule include: the Urban Village anniversary weekend from 6/1-6/3; Sterling Pig cookout at Prohibition Taproom on 6/3; Shelton Night at Pistola's Del Sur on 6/7; Late Night with Joe Gunn at Jose Pistola's on either 6/5 or 6/7; and the Samuel Smith feature at Grey Lodge moved from Saturday to Friday, 6/8, which is definitely more convenient for me and something I'd really like to pop in for, if for nothing else than a walk down early 90's memory lane. - The Hammer of Glory Tour is shaping up, but really would like to see more details at the official itinerary before committing to any part of my Friday. - Opening Tap looks to be ready to go with a full lineup of attending breweries. Lots of locals, a few noticeable absentees, and more than a handful of out-of-towners. Expect this to be more crowded this year, being held on a Friday instead of a Thursday night, as was last year's. Now, Brian O'Reilly is off on a brand-new venture in Philly from Sly Fox, with which he's become rather synonymous since joining them 15+ years ago from New Road Brew House in CT (Collegeville, thanks for the correction to Jack Curtin), and before that John Harvard's in Cleveland and Brewer's Bier Haus. The press release below tells all. 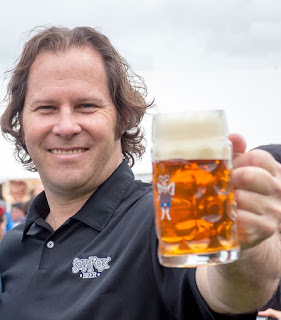 And, congratulations to Tim Ohst, also a long fixture of the brewery for now formally being recognized as Director of Brewing Operations. As many know, he's been the top dog in the day-to-day brewing for many years and, as O'Reilly mentioned somewhat humorously in a quote to Forbes, "To be honest I haven’t really made wort in many years." May 24, 2018 — Pottstown, PA—The brewmaster responsible for transitioning Sly Fox Brewing Company into a regional independent craft brewing competitor will leave the brewery in early July, the company announced today. Brian O'Reilly came to a fledgling Sly Fox in February 2002 when the small operation, one of the first in the Philadelphia region, consisted of a single small brewpub in Phoenixville, Pennsylvania. O'Reilly immediately began transforming the Sly Fox beer portfolio into what has since become one of the most respected portfolios of new- and old-world styles available anywhere. Sly Fox's enduring success has been due, in large part, to O'Reilly's award-winning beers and careful go-to-market style. The brewery won a Great American Beer Festival (GABF) medal for its Helles Golden Lager in O'Reilly's inaugural year and has accumulated more than a dozen since, including four medals in five years for its Grisette Summer Ale. O'Reilly was also instrumental in championing craft beer in cans and, in 2006, oversaw Sly Fox's transition as the first craft brewery in the mid-Atlantic region to install a canning line. Sly Fox Brewing Company, with the main brewery and tasting room in Pottstown, the newly renovated Phoenixville pub and the anticipated Wyomissing and Malvern locations in development, is well-known for pairing its beer releases with compelling events. When O'Reilly first came to Sly Fox, he proposed a spring celebration that would feature racing goats, and now in its 18th year, the Sly Fox Bock Festival and Goat Races hosts more than 5,000 guests and is named best beer event in Philadelphia year after year. The brewery hosts a packed schedule of other uncommon events that all started as O'Reilly ideas, including a huge outdoor music festival and Robert Burns birthday celebration, but it's beer making that motivates the brewer. "I'm most proud of the actual growth of the brewing operation," reflects O'Reilly. "When we look back at where we came from, scrambling to make beer in the little brewpub to the 30,000-square-foot, 50-hectoliter production brewery, it's pretty amazing. I'm thankful the Giannopoulos family always strives to provide the resources needed to continually evolve and brew quality beer." As the brewery grew, O'Reilly trained a small army of capable brewers, many of whom have gone on to noteworthy brewing positions elsewhere, while some of the very best remain a part of the innovative team at Sly Fox. Although the brewery does not plan to immediately replace O'Reilly, as many as five brewers came of age under his tutelage and are poised to contribute to the brewery's ongoing innovation, sustainability and growth. Former Operations Manager, Tim Ohst will be named director of brewery operations and will oversee production at the regional brewery that currently enjoys distribution in six states. "Brian and I grew up together in the beer business over the last 17 years," Giannopoulos continued. "We're like brothers, and we're excited for Brian, but we're also confident that he's leaving us in good hands." "There are team members in the brewhouse who have an opportunity to step up," he added. "It won't be a radical change in the brewery, where there are collaborative efforts every day," adds O'Reilly. "The [Sly Fox] team of lead brewers has been managing brewing day to day for years now, efficiently and professionally." Next up for O'Reilly is a new brewing venture in partnership with Philadelphia change agent and restaurateur Avram Hornik in the space formerly occupied by Yards Brewing. Since its inaugural brew in 1995, Sly Fox has crafted more than 100 different top-notch craft beers. Its critically acclaimed year-round lineup and highly anticipated seasonals are available in its brewpubs in Phoenixville and Pottstown, as well as top bars and restaurants in PA, NJ, NY, MD, VA and Washington, DC. Sly Fox was the first craft brewery in the mid-Atlantic to put in a canning line, adding it to the facility in 2006, and with it, earned the first-ever Great American Beer Festival (GABF) medal awarded to a canned craft beer, in 2007. Sly Fox has earned GABF medals virtually every year since and is widely recognized as among the region's best and most enduring craft breweries. Closing out May with just a few events around here because everyone knows what's on the horizon—Philly Beer Week, June 1-10. My beer calendar listings will take a pause during the month of June as we wait for everything to "get back to normal" in the post-PBW world in and around Philly. Click through here for a look at the full monthly calendar of beer events around the Philadelphia region and over here for a look at Philly Tap Finder's event draft lists. Philly Beer Week 2018. Untangling the schedule of events. I'll get right to the meat of it. After pulling down the calendar of events last night before dinner and deleting duplicates, fixing erroneous times, and trying to guess where an event is being held when no establishment name was filled in (yes, really), here's how the Philly Beer Week schedule of events looks to me as of this morning. Of course, from experience we all know that this thing is a constantly moving target and events will get added, deleted, modified right up until go-time during the week. Also, my standard disclosure, while I stand by my own data integrity, for the official calendar of events, please visit the official PBW '18 website. >> 52 establishments now list events, up from 23 last week. 44 of them are in the city. While it's not a stretch to see people taking a train to Berwyn (La Cabra) or scootin' out Germantown Pike to Plymouth Meeting (Whole Foods) for an event, this is Philly Beer Week and I'm pretty sure an "event" (actually just a standard tour listing) at Allentown Brew Works should be listed on Lehigh Valley's Beer Week instead. But, that's just me? >> These 52 establishments have 222 events listed (after I deleted 28 duplicates), which is just slightly more than double from my analysis last week. >> Five of the events are focused on cider. That's your call. >> The daily count breakout, as of last night is as follows. Following this PBW event calendar very closely since the inception in 2008, the pattern is nearly identical to past daily counts, i.e. a spike on the first Saturday and then again on Thursday, with a petering out on the last day, Sunday. >> Cinder has taken full advantage of its membership, listing 21 events (so far). The Lucky's two bars combined have 22 events. Interstate Draft House has 12, Grey Lodge has 11, and the P.O.P.E. has 10. Devil's Den, Khyber, and Strangelove's with 8 each. If you want a full spreadsheet-based listing of all events, drop an e-mail to me requesting one. >> 6 Whole Foods locations are showing 14 events. Off significantly from past years. Also missing from the "chain" listing of events is Uno. Only showing one brunch at one location right now. >> Only three dog-related events thus far. Seems a bit light and I'm betting that number will grow over the next week. >> Yuengling's hitting the week with a Golden Pilsner Pre-Release event, once each at Morgan's Pier, 12 Steps Down, and Field House. >> Here's a quick rundown of solid-looking new events popping on to the calendar since last week that have caught my attention. Maybe yours too? Fri, Jun 01 - I'm sticking with some undetermined dosage of HOG and, no doubt, Opening Tap (as it should be, and I described why earlier). But if I need any other pre-gamers for this opening day kickoff, Burial at Memphis looks like a swell idea. As does Hops and the Half Shell at Cinder. Sat, Jun 02 - Uh-oh. Beer and Dogs. Yup, right in my ol' wheelhouse. Plus, Morris is where Patty and I found our first dog together. And, the P.O.P.E.? Still one of my favorite bars in the city and they're doing the fundraiser with Fat Head’s And Tröegs. Cool. Sun, Jun 03 - Could begin the day with an Oxbow Brunch at Khyber, which sounds great both from a glass and plate perspective. Then, I heard that this was coming and now it's officially been announced - "Who The Hell Let Tom In The Brewery?!" at Monk's. Might be epic. Mon, Jun 04 - If I didn't get some drops of Burial's beers during the weekend, Clarkville is serving 'em up on Monday. Tue, Jun 05 - Uh-oh, the first day of "do-I-take-off-work-for-this"? Dogfish used to do its lunchtime thing for PBW at Nodding Head. Now it looks like they've got something fun on tap at Monk's. Hhhmmmm. Wed, Jun 06 - Wednesday will be a tough night for me as I'll be at the Mann Music Center for Nathaniel Rateliff concert. But, could possibly pull off dinner at nearby-ish Local 44 for its "Locals Only" event before the concert. Thu, Jun 07 - I'd mentioned the panel discussion Urban Village earlier and I think I'll stick to that plan. But after? Free Will sours at Varga. Could be. Une Annee And Hubbards Cave? Another one to keep in mind. Fri, Jun 08 - You know what? I've never seen the Sly Fox Canwood Derby in action. Sounds like fun at Good Dog Bar. Or the "West Philly Tricycle Championship" at City Tap House in University City?! Wow, picturing this is amusing, perhaps making this a must-see. Sat, Jun 09 - Sours and brunch at Cinder. Sam Smith beers at Grey Lodge. Wood beers at Strangelove's. All new event listings and contending for my attention on Saturday. Sun, Jun 10 - Believe I'll still be sticking with the La Cabra event in Berwyn, but there is also Sour Sunday at Devil's Den and Russian River at Local 44. Options are always welcome. >> Good Dog loves exclamation points!!! >> Oh, and re my comment earlier about establishments not listing their names, if anyone can help with the location of these events, that'd be, well, helpful. Philly Beer Week 2018. More details. Philly Beer Week 2018 is firing up for an 11th consecutive year. What's new? What's returning? What's changed? What's a must-do? When's it happening? All reasonable questions and a good bit of what is addressed in the organization's press release (portions deleted, but nothing edited, for brevity) pasted below. Some new faces, some old faces, and some missing faces are on the list thus far. The calendar of events continues to evolve as per usual, so try to keep up. And, I'll do my usual bit to keep you informed of what I sleuth out along the way. Then, we'll meet up for some beers and debrief. Cheers to the never boring Philly beer scene. PHILLY BEER WEEK HITS JUNE 1-10, 2018. Often Imitated, NEVER Duplicated: The nation’s first, biggest and best Beer Week – with nearly 100 copycats worldwide – will celebrate their 11th anniversary in 2018, kicking off with Opening Tap on June 1. Philadelphia PA — (May 2018) Philly Beer Week (PBW) will celebrate their 11th year on Friday, June 1 with Opening Tap, their signature kick-off party featuring more than 60 breweries and cideries, at The Fillmore Philadelphia. Opening Tap will be followed by 10 days of lively beer-soaked events in America’s Best Beer-Drinking CityTM. Hosted by 501(c)(6) non-profit Philly Loves Beer (PLB), PBW2018 is the culmination of 11 years and nearly 11,000 events, and remains the 10 most important days on Philadelphia’s beer calendar. PBW stands alone as the largest beer celebration of its kind in the United States. The 10-day festival (seven days weren’t enough for America’s Best Beer-Drinking CityTM, a name trademarked in 2012) features hundreds of dinners, tours, pub crawls, tastings and meet-the-brewer nights, and highlights the region’s top-notch breweries, neighborhood taverns, trendsetting restaurants and masterful home brewers. PBW is the “Founding Father” of Beer Weeks, and continues to evolve and grow amid a crowded field of friendly imitators, with 77 Beer Weeks held annually in the United States, and almost 100 worldwide. Opening Tap is PBW’s signature event, bringing the entire craft beer community together for a ritualistic “first tapping” of the festival – followed by a raucous party with endless samples. A highly-anticipated night, Opening Tap features rare and limited pours from 50+ breweries and cideries and live entertainment. In addition, guests will have the opportunity to sample the country’s best ciders and chat with cider makers. Hard ciders have been gaining popularity in recent years, thanks to new fermenting methods, including the use of big, bold hops and dry hopping. Opening Tap will take place on Friday night, June 1, from 7:30 p.m. until 10:30 p.m.
General Admission: $46 includes a souvenir glass and complimentary beers from 50+ local and national breweries in 4-oz. tastings, including the debut of Saison de Pale, a collaboration saison brewed with Pilsner, blended with 15% Petrus Aged Pale, and balanced with Saaz Hops created by Dogfish Head Brewery in Milton DE, and Brouwerij De Brabandere in Belgium. VIP Admission: $66 includes a specialty souvenir glass, and an additional hour of access, beginning at 6:30 p.m featuring rare pours from brewery members. There will be live DJ sets, and a live performance from Philadelphia favorite Chill Moody! The official mascot of PBW, the Hammer of Glory (HOG) is a custom, hand-forged keg hammer that travels throughout the region and across the United States as an ambassador for Philadelphia beer throughout the year. Starting in the wee hours of the morning on June 1, the HOG will be passed Olympic torch-style from venue to venue along the HOG Relay, a day-long, beer-fueled carnival that visits 40 bars, breweries and restaurants across the city. The HOG Relay will conclude with the HOG’s arrival at Opening Tap for the ceremonial first tap of PBW2018: the newly nickel-plated keg mallet will strike a firkin of Brotherly Suds, a collaboration beer from local breweries Troegs, Victory, Yards, Sly Fox, Stoudts, Iron Hill and Flying Fish. This year’s collaboration will feature a Hoppy Saison. Are these labels making you thirsty? Be honest, have you bought a beer just because the label caught your eye? Explore with us on Wednesday, June 6 at U-Bahn why the artists and the breweries make the decisions they do - be it an entire redesign, flavor series, or one-off, for the second installment of our Art on Beer moderated panel discussion. Not only does this ticket get you in on a super cool art & beer panel discussion, it includes $5 beers from all breweries represented on the panel, as well as, a specifically designed menu for the event! Philly Loves Beer is proud to present the Industry Education Panel on Quality Control taking place at Urban Village on Thursday, June 7th from 2-4PM. Explore the best quality control practices, common lab errors, overlooked QC practices and the best route to achieve happy, healthy fermentation. A panel of experts will share their unique perspectives to create an interactive experience for anyone who wants to brew better beer. After the panel discussion, mix and mingle with other top brewing industry folks before hitting your evening events! Philly Loves Beer Garden: Sip on your favorite local brews every night (except Wednesday; including weekends) of PBW2018! Uptown Beer Garden (1735 Market Street) will host the official Philly Loves Beer Garden, with special attention devoted to breweries located within 100 miles of downtown Philadelphia. Formerly Philly Beer Week, PLB was established in 2017 and is a non-profit 501 (c)(6) organization overseen by a community of like-minded beer professionals whose aim is to “grow the pie” and promote the entire Philadelphia region’s top-notch beer-drinking culture. Through a membership network, PLB works to promote and educate consumers about beer 365 days a year, celebrating Philly’s proud brewing culture by highlighting local brewers and progressive national trends. Good timing on the part of Scoats. Within hours of my inaugural PBW '18 post last week, Mike "Scoats" Scotese (of Grey Lodge, Hop Angel, SawTown, Bonk's, and Philly Beer Week ambassadorship fame) reached out to let me know that my comment about the Hammer of Glory tour on June 1 for Philly Beer Week could be updated with a schedule that had just been completed. At least the participating establishments. The times were close enough to publish, but he ask that they be taken with an understanding that they may be tweaked in these two weeks leading up the Friday, June 1 kickoff of PBW '18. Even though still are a lot of gaps in terms of what each establishment will be doing to showcase their creativity and their dedication to the local bar and brewing scene, if 2018 is anything like past years, then you can bet it will be worth taking some part, or all, of your day to check out the roaming festivities on the way to Opening Tap at The Fillmore. Here's a link to the Google Doc that is currently hosting the only version of this schedule that I've seen thus far and I've static-pasted it below as it stands as of today. 4 city breweries and 20 bars. I make extremely rare exceptions for non-beer content here at The Brew Lounge. Not that I don't routinely fill my other glass with wine, spirits, and the like. Hard cider, as well. But, for the written content here, it's almost exclusively beer. I make an exception, however, for the annual PA Cider Fest. It's a well-run event, I know the good people behind it, I attended last year, and it so fittingly perfect in how it showcases the significant agricultural output of south-central PA. (I should also disclose that my admission has been comp'ed.) I figure that you, too, may like a brief interruption here in the beer content and that's fine. I hope to attend this year again. If the perfect weather and scenic backdrop can be duplicated and paired again with many interesting ciders like last year, I and everyone else in attendance should have another excellent experience. And now to the press release. GETTYSBURG, Pa. — May 2, 2018: Hard cider newbies and aficionados, alike, will flock to the third annual PA Cider Fest in Gettysburg on Saturday, June 23. Pennsylvania’s premier cider-tasting event is set to feature more than 65 cider varieties from 25+ hard cider makers, showcasing ciders and their makers from all across the Commonwealth. Plus, PA Cider Fest also features Pennsylvania cheese makers and artisans, and there will be plentiful food offerings and live entertainment. Festival goers may purchase cider directly from the participating cider makers, in addition to taking part in cider tasting at the event. Among the other activities scheduled to take place at the event are special seminars and workshops from cider and cheese experts. The list of this year’s workshop/seminar topics includes apple pressing, cider apples, cider and cheese pairings, and cider tasting tips. PA Cider Fest is held at the home of Jack’s Hard Cider at Hauser Estate Winery, located at 410 Cashtown Rd. in Biglerville, Pa. “I love bringing people to our home to learn about hard cider and have a great day out,” said Jonathan Patrono, President of Jack’s Hard Cider. “We are proud to host this event and bring some of the best ciders on the market for everyone to sample." Tickets to PA Cider Fest are $25 in advance and $30 at the gate. Interested participants may use the “plan your visit” tool. Accommodation packages are available, and festival transportation will be provided from select locations. Once again this year, PA Cider Fest will raise money for the Pennsylvania Cider Guild, which works to bring together cider makers, cideries, cider enthusiasts and associated businesses to represent and promote the cider industry in Pennsylvania with a united voice. The guild’s mission is to protect, promote, represent and educate its members and consumers. 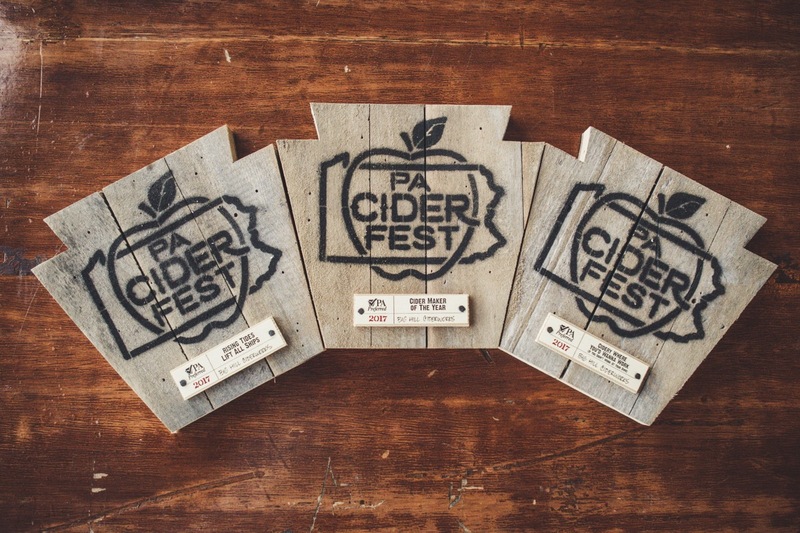 PA Cider Fest is sponsored by PA Preferred, a program by the Pennsylvania Department of Agriculture that encourages Pennsylvanians to support fellow state farmers by purchasing products made throughout the state. "As an event planner, this is my favorite event to plan of the year,” said Richard Ashenfelder, PA Cider Fest event planner. “Where else can you find such an array of cider varieties, live music, orchard views and Pennsylvania artisan cheese all in one place? We have more cider makers than ever — more than 25 this year — spanning the entire state from east to west. I'm excited about the new food trucks that will be joining us this year! And we've got some really interesting artisan vendors as well — from artisan mustard, to elk and venison jerky, to cider-themed tea towels." 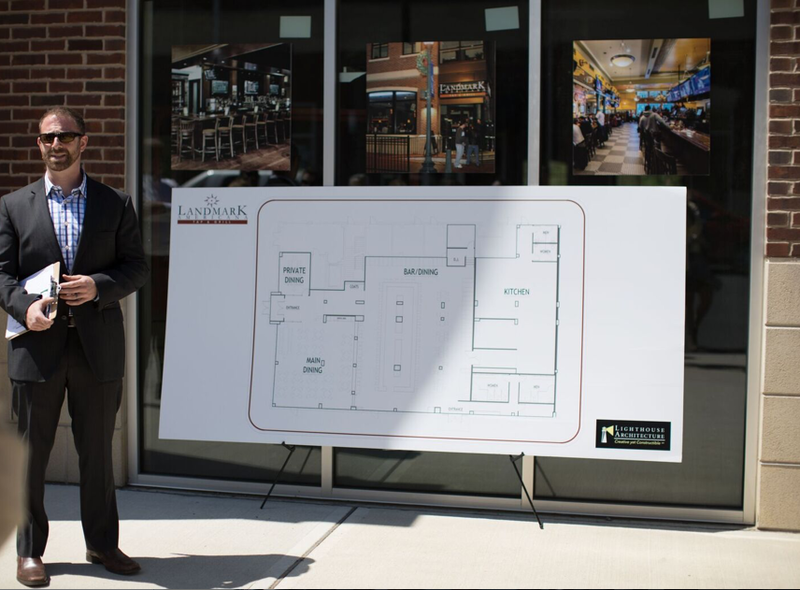 On May 8th Landmark Americana Tap & Grill hosted a sneak peek celebration to unveil plans for its newest location at Campus Town at The College of New Jersey. Founder Dave Goldman and local elected officials, as well as members of TCNJ administration, were on hand. The fifth Landmark Americana will feature a combination of entertainment with a sports bar atmosphere, boasting an impressive lineup of 40 taps featuring local craft brews, HDTV screens, and delicious pub fare. Landmark Americana will be bringing approximately 70 full and part-time jobs to the location. The 9,200 square feet location will open in Campus Town, which was developed by the PRC Group, and plans to open early Fall 2018. If you can't find a place to drink a good beer on Saturday, you must be doing something wrong. Here's everything you need to know. Am I late getting to you on the topic of the Craft Brewers Conference and the biennial World Beer Cup that accompanies it? Depends. If you follow me on the socials, then you'd likely seen me two weeks ago chattering about bars and breweries around Nashville - the host town in 2018 - and newsy bits from the conference itself, as well as "live-Tweeting" the area breweries of interest as they won awards during the ceremony on Thursday evening. The Brewers Association briefly wrapped up its take on the week. Here are some of my own takeaways from what I heard, saw, and tasted during five days in Nashville. - Diversity. This message came through loud and clear whether it was in a keynote address, in a breakout session, or in the off-site gathering of beer writers for a three-panel symposium presented to the North American Guild of Beer Writers. Cliff Notes version? Even if we don't have the solution for the still mostly white straight male dominated industry, if we're not attempting to take steps in the proper direction, then we're still part of the problem. For myself, wheels are already turning how I can be a part of the improvement. 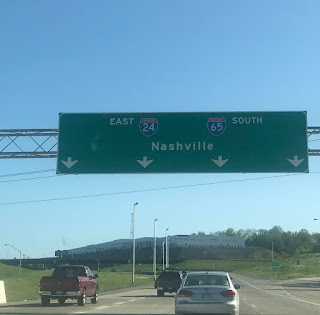 - NashVegas. What the heck is that? Well, it didn't take long for it to be explained to me that Nashville is a much bigger party city that I'd realized. And, as a result, bachelorette parties what seems like every night. And, "pedal taverns". Shut down Broadway to show the Predators playoff hockey game, mix in beautiful weather, 15-20 square blocks of music and "regular" debauchery (though, I quickly learned, too, that Printer's Alley is not what it used to be), and it goes to another level. Might considering tossing Orleans in the name as well to capture the party essence. Oh, and rooftop parties atop every other bar. - Stronger Together, and Independent Craft Beer logo. This mantra and this logo were repeatedly announced loudly as antidotes to both macro tampering as well as slowing growth in the craft segment. While I've long held that the craft segment has grown as much as it has and as quickly as it has over the past 10-20 years because of the support that brewers provide each other, as well as the role of suppliers, wholesalers, media (traditional as well as social)...anyone associated with the process of getting beer from tank to glass... I've been a somewhat slowly enthusiastic adopter of the Independent Craft Beer logo that the Brewers Association created and distributed in 2017. They announced that it's been used by over 3,300 breweries (on websites, marketing, and/or packaging) and had signed up another few hundred during the conference. I *do* believe in the message, yet a label does not ultimately convey quality; not really sure there is anything that actually can do that in a decisive and conclusive manner. But, for my part, I will continue to highlight only (or, at least, mostly) the positive with the idea that there are enough forums for scuttlebutt and that the weak can fall to the wayside with their help or on their own. Also, thinking of someway to emphasize the role of Independent Beer Media as well. - Shout-out to the local Nashville beer scene. I discovered plenty of Nashville's beer scene, but gotta say it was mostly due to my own sleuthing skills. For past CBCs, I've been contacted as part of media outreach to familiarize people such as myself with the local brewing scene by way of tours, invitations, samplings, and the like. This year, not so much. (Could be my ranking has been downgraded?!) Though, hats off to TailGate Brewery for the personalized welcome bag of beer and related accessories. What did that inspire me to do? After unpacking at the condo, TailGate was my first stop for my first beer in Nashville, coinciding with the Predators playoff Watch Party. In addition to enjoying the four canned beers - Naked Statue Blonde, Peanut Butter Milk Stout, Southeast IPA, and Welcome to Nashville Hazy IPA - later back home, while on-site at the Music Row pub location, not only did I find the Barn Out Back Altbier remarkable and the Jasmine Saison, Sake Kolsch, and Farmhouse Rye very good, I had an accidental crossing of paths with the owners/brewers from Something Wicked in Hanover, Pa. First time meeting them even though they're in my Ale Street News coverage area. Some honky-tonkin' ensued from there through late into the night. So, I won on several fronts. But otherwise I was on my own. Brewery-wise, I found my way to Bearded Iris (great, if you're into IPAs, DIPAs, DDH-IPAs, NEIPAs, seriously that's pretty much it), Tennessee Brew Works (a few great classic styles including an Extra Easy ESB "English pub style" and an American Brown called King Chestnut), Jackalope (check out their Thunder Ann Pale and Bearwalker Brown), and Yazoo (great Pilsner that paired nicely with the Beer Writers Guild meeting and in lieu of spending more time there, brought some special bottles home with me). And on the bar front, Craft Brewed, City Tap, Acme Feed & Seed, Jack Brown's Beer & Burger Joint, and Kuchnia & Keller stood head and shoulders above and demonstrated that it's a year-round thing for them and not just a CBC week condition. (The Germantown neighborhood, on the whole, is an excellent destination for eating, drinking, and walking.) You want these on your short list when exploring the Nashville beer scene. Oh yeah, and of course a few honky tonk bars were on the docket each night! That's about it for the big headlines. Much more and I'd be getting into insider baseball territory. The 2019 Craft Brewers Conference was announced to take place in Denver. Will I be there? Will I see you there? I can't recall exactly when I first heard of Triple Bottom Brewing Company. Feel like it was around two years ago, give or take. Got on their media distribution list. Then, didn't hear much for quite a while. That changed earlier this month. As you'll see below, they'll be setting up shop just around the corner from Love City, Roy Pitz Barrel House, Prohibition, The Institute, and the can't-come-soon-enough Rail Park. Here's what you need to know for now from their latest notice. We are so excited to share that we have found our home in a historic Reading Railroad building on Spring Garden Street. We can't wait to pour you beers in this beautiful space! We're a short walk from Chinatown, Northern Liberties, Temple, and the Broad Street Line, so once we're up and running, we hope you'll stop by. There's still a lot of work ahead of us before we can start brewing, but we are overjoyed to be one huge step closer to that big day. We'll send periodic updates your way, but don't want to clog your inboxes. For more regular info please follow us on Facebook, Instagram, or Twitter — or check out our new blog! Thank you so much for all you've done to support us. Looking forward to seeing you on Spring Garden! Philly Beer Week 2018. What's Up?